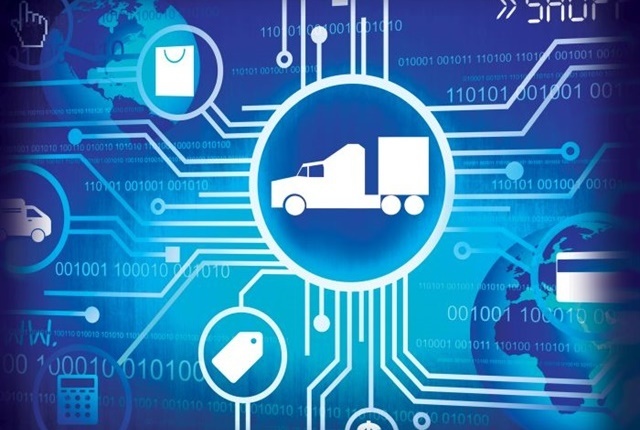 Blockchain's potential for heavy-duty truck maintenance could be immense. Blockchain proponents say it brings visibility, transparency, and trust to transactions. It’s often talked about in terms of its usefulness in the relationship between manufacturers, carriers, distributors, and end users. Bill Wade, managing partner at Wade & Partners, says blockchain can be used for both driver and vehicle issues. Information on vehicle build, down to what production block the engine came from, can all be part of the blockchain. When coupled with sensor data and information from telematics devices, information such as how the vehicle was driven, from quick starts and quick stops to hard turns, can also be part of the vehicle’s permanent and shared record. “Eventually anything that comes off the internet of things will be able to tell [a fleet] about things like the shape the suspension is in, what shape the electrical system is in, how long was the ‘hotel system’ used and how much of a drain was that,” Wade explains. Blockchain allows rapid access to data to all participants. Everyone has the exact same verified information. This allows them to act quickly and make decisions quickly. “The more data you have about the situational awareness of the truck, the better off you are,” Gerrard says. With blockchain, operational characteristics of the truck, the operational history, the repair history, and the warranty history are all in one place, shared by everyone in the blockchain. This gives the fleet insight into the life cycle of the truck. Every single step along the life of the vehicle will be measured as a separate block with a blockchain. And who doesn’t want that when it comes to truck maintenance and repair?